I think these people are being serious - The Invincible M.A.E. So every now and then - okay, pretty often - I get comments to my YouTube clips that makes me go, "WTF, REALLY???" From ToniteImPuckingYou: his eyes should be considered﻿ one of the wonders of the world. Haha, SDQ posted that when she did her ASG post. Your icon of him always reminds me of those old west photos they took after outlaws were shot. He's like Billy the Kid's proof of death pic. Hahaha, I can totally see him as a Billy the Kid type from the Young Guns movies. My icon is actually his mug shot after the taxi driver incident, muahaha! And hockeylovinggirl89 is probably Sam Ganger. There you go, Mae: mystery solved! You should see the Ovechkin comments! The thing is though.. she said the best she's ever seen. What if she grew up around ugly people? No excuse. She obviously owns a computer, and probably a TV. 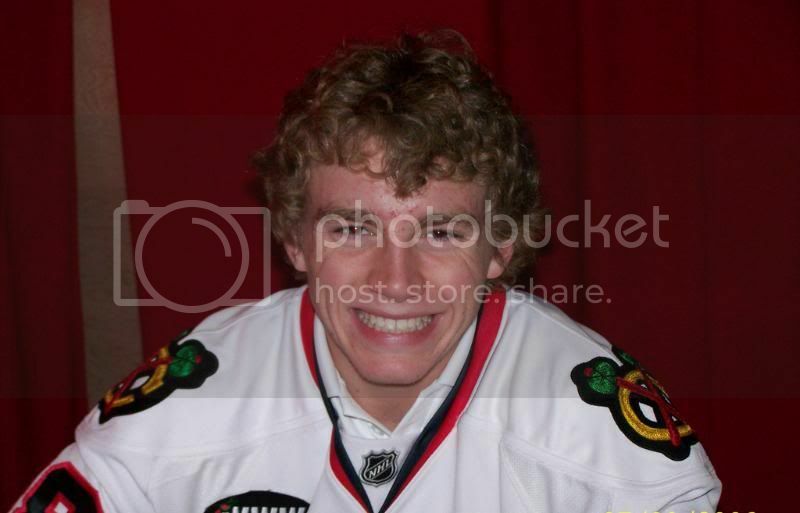 Here's my thing with Kaner, if you look at that picture, yes, that's a terrible picture. That said, I've seen some gorgeous guys who have taken some atrocious pictures. Oh, I intentionally picked the worst photo I've ever seen of him. :P I just find it hilarious when people start waxing poetic about him.